Like his older half-brother, Big Bill Morganfield shares an uncanny vocal similarity with his father, Muddy Waters. But while Mud Morganfield, four years his senior, has chosen to honor their dad and perpetuate his memory through his own performance, Bill is steadily forging his own path as this rock-solid CD demonstrates. 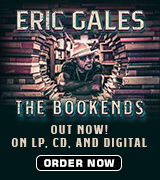 It delivers a big dose of modern blues along with several re-fashioned tunes from the past. In fact, the two men couldn’t have grown up more differently despite both being spitting images of their old man. Mud grew up in one of the worst neighborhoods on the South Side of Chicago, was raised by his mom and several uncles and knew Muddy only through his occasional visits. Bill was also born in the Windy City, but raised by his grandmother 1,500 miles away in South Florida. While Mud drove a truck, Bill was earning a degree in English from Tuskegee University and another in communications from Auburn before embarking on a teaching career. Both men turned to music following their father’s death in 1983. It was a good choice. 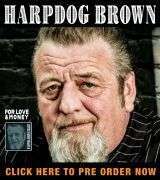 Big Bill’s second CD, Rising Son, featured contributions from three of Muddy’s former sidemen – Pinetop Perkins, Willie “Big Eyes” Smith and Paul Oscher – and garnered him the 2000 W.C. Handy Award for best new artist, and Mud has carved out a niche as a major star in his own right. 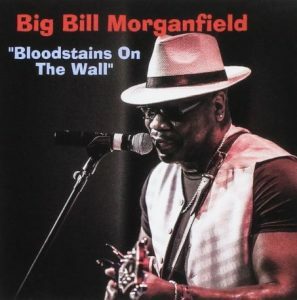 Bloodstains On The Wall, a mix of four originals and eight covers, is the seventh release in Big Bill’s catalog. It features him on vocals and slide guitar and captures the general ambiance of the Chess Records studio despite being recorded in Nashville, Fresno, Calif., And Kernsville, N.C. Despite being aided by two separate backing bands and several big-name guest stars, the production is seemless throughout. The Mofo Party Band – harp and guitar player John Clifton, guitarist Bill Clifton, drummer Brian Bischel and bassist Grant Clifton – are augmented by keyboard player Bartek Szopinski on the California cuts while guitarists Colin Linden, Eddie Taylor Jr. and Chuck Cotton, harp players Doc Malone and Steve Guyger, pianist Augie Meyers, sax player Jim Horn and bassist Tom “Mookie” Brill handle the Tennessee chores, Muddy’s longtime guitarist Bob Margolin sits in with them for one cut. The album opens with an unrushed cover of Lonesome Sundown’s “Lost Without Love” before a sprightly take on “I Don’t Know Why,” written by Willie Dixon and recorded by Muddy. It features chunky guitar work from Margolin and lilting lines from Guyger on chromatic in their only appearance on the disc. “When You Lose Someone You Love,” based on Muddy’s “You Can’t Lose What You Never Had,” was written as a tribute after the death of Big Bill’s mother. It’s a bittersweet number on which Szopinski’s work on the 88s shines. A cover of Jimmy Reed’s “Too Much” feels new despite a traditional treatment before the Big Bill original, “Help Someone,” an uptempo dance number with a definite New Orleans or New Orleans feel. The title tune, “Bloodstains On The Wall,” written by Frank “Honeyboy” Pratt in 1928, gets a thoroughly modern re-do before the original “Can’t Call Her Name,” which describes a lady who’s such a good lover that the singer has to keep her identity secret. Four more covers — Otis Rush’s “Keep On Loving Me,” British singer/actress Lisa Stansfield’s “Wake Up Baby” – a new take on the classic blues “Cabbage Head,” Dixon/Muddy’s classic “I Am The Blues” and Jimmy McCracklin’s “Help The Bear” – follow before a bonus cut. “Hold Me Baby” is one of several tunes Big Bill wrote for the FOX-TV new series Shots Fired, which deals with police brutality targeting young black males and on which he has a recurring role. The song was produced by Honorable C Note, the hip-hop star, and will serve as a real ear-opener to longtime Morganfield fans because of the electronic tweets that augment Big Bill’s slide guitar and vocals. Despite the seemingly historic nature of some of the material on Bloodstains On The Wall, there isn’t a dead spot or any filler to be found here, just a large dose of carefully chosen music that will stand up for the ages. There’s plenty of old-fashioned Chicago blues, sure. But there’s much, much more. And Big Bill is no Muddy clone. His own personality shines throughout.